Out-Of-Character Forums > Announcements > The Living World! Fri Sep 14, 2018 9:16 PM Post Subject: The Living World! Airships traveling in the western waters of Canelux are now experiencing engine failure. The farther out they go the worse it gets. Egjora and Adeluna are doing their best with their naval army to retrieve these massive ships into waters where they can reignite the magic engines. Retrieval is only possible for the ships that are closer to Adeluna and Egjora. Those that are farther out seem to be a lost cause. Fri Sep 21, 2018 11:41 AM Post Subject: The Living World! Things have gotten worse when some of the war airships failed to return; in response, scout ships were sent out to try and locate them. Meanwhile, the crews who made it back to land told tales of hearing buzzing noises in the air following them at night, and sometimes during the day. Loud at times to enough to wake up men who slept like the dead, extra night watches were added. In addition, more lanterns and magical spotlights were used to comb the night. Reports of shadows in the lights darting quickly out of view were passed around, but the captains tried to squash these rumors in an attempt to keep order on their ships. These captains still rallied their crews in preparations for another trip with more cargo; the prices being paid by the merchants is just too good to pass up. But the one question remains; what has been happening to all of the ships' crews and cargo that has gone missing? Thu Sep 27, 2018 12:13 PM Post Subject: The Living World! The worst has happened, and the economy is taking a hit as prices rise to compensate. None of the war airships have returned now, but some of the scout airships have and what they have to report is putting a stop to deliveries to the West. They have found the the remains of the vessels floating like small islands out in the open waters. There had been obvious signs of attack and damage on them from some kind of outside force; large holes are pot marked around the timbers along with claw marks. Most worrying, however, is that the engines of the ships have been gutted and removed along with any of the magical cannons the ships may have had. Fighting on the deck has evidence as well; blood and weapons layabout from the crew. Unfortunately, there was nothing to give a clue as to what attacked them. Captains of both the seas and sky alike are no longer willing to chance the waters and buzzing was heard by the scout crews as well. Supplies are either running low or have run out from trade items from the West; some merchants have had to fold their enterprises as a result. All the while, at night, the echoing of drums can be heard among those living along the West coast of Canelux. But with each passing night, sound travels further inland little by little. It is almost as if whatever is making the sound, the source is getting closer. Sun Oct 14, 2018 2:30 PM Post Subject: The Living World! Mon Oct 15, 2018 10:21 PM Post Subject: The Living World! With the Gods regaining their foothold and the Voice working to solve the mysteries of life. He has decided to bless the Gods with a temporary third domain of power for the duration of this invasion. These domains will help them turn the tides of battle should they quickly master them. Powerful domains like Fate and Time have been pulled from their vault and given for the time being. Sun Mar 24, 2019 12:58 PM Post Subject: The Living World! Something is happening in Sularia. Due to this being a solo-ish thread. People may react with their own threads. Thank you! Sat Apr 6, 2019 6:15 PM Post Subject: The Living World! A large airship has whipped into a parallel parking position in Onnen. The cussing in Canelux has turned into screaming. A water mirror has appeared in all major places. All that can be seen is Lady Angela choking Lady of Luck Shiloh. "What is wrong with you?! WHY IS IT ALWAYS YOU DOING THIS TO ME?!" 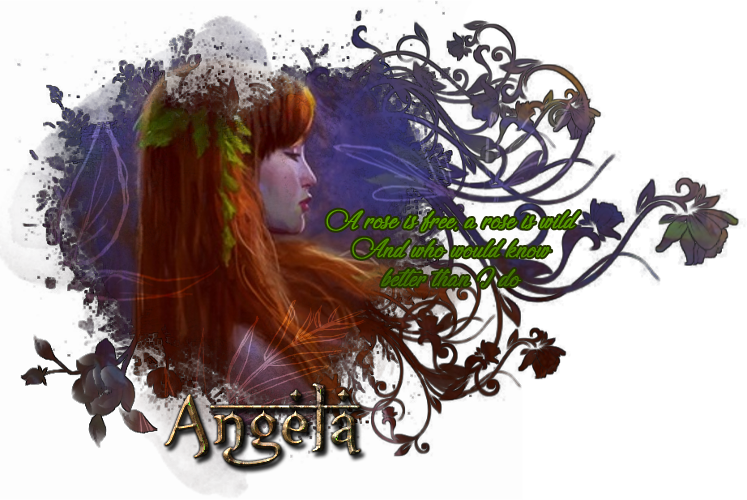 A cough a happens and Angela appears shocked as she drops the smaller goddess. "Ha… One moment." The water mirror disappears leaving many confused what is going on.